Morning Motivation — Will you go the distance? Whatever you set out to create will you go the distance to actually complete creating it? Even when it seems clear what it will take to create something, we can never know for sure how long or how far we will have to go to see it through to completion. Instead of trying to see into the future stay focused on the here and now—the destination will arrive soon enough. Simply keep creating until you go the distance and reach completion. No matter how far you have to go, keep creating until you get there. 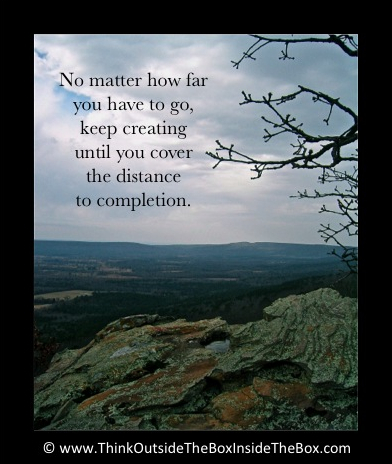 Create until you cover the distance to completion.